Located in a historic building at 11th and Pine Streets is Mama’s Wellness Joint. 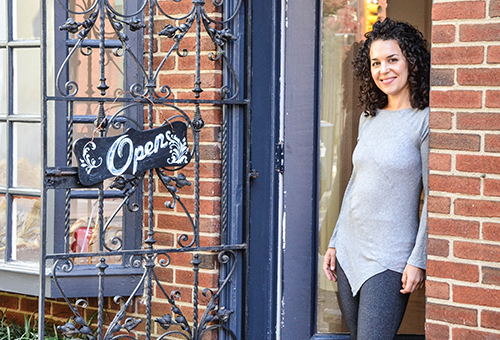 Founded by Paige Chapman, an accomplished, Philly-born Yoga instructor and Doula, Mama’s Wellness Joint provides Philadelphia area women and families with a range of alternative wellness workshops, yoga and movement classes meant to address the holistic needs of women, men, and their families (not just for Mama’s!!). Paige Chapman was able to secure a working capital loan from PIDC which allowed her to expand services to the community, purchase inventory, and refinance high-interest credit cards. Mama’s Wellness Joint now offers 27 classes, multiple workshops, as well as several wellness services each week! PIDC is proud of the accomplishments of Paige Chapman and her team and we are excited for the future!